Hayat Tahrir al-Sham released the director of Ataa Humanitarian Relief Organization / Society’s Atimah branch, Saddam al-Muhammad 13 days after his arrest on still unknown charges. Several days ago Ataa Humanitarian Relief Organization / Society’s Atimah branch released a statement suspending implementation of its project in camps around Atimah until Al-Muhammad’s release. Improvised explosive device killed one and wounded one civilian on the road between the villages of Abu Hammam and Abu Hardub in eastern Deir al-Zour. 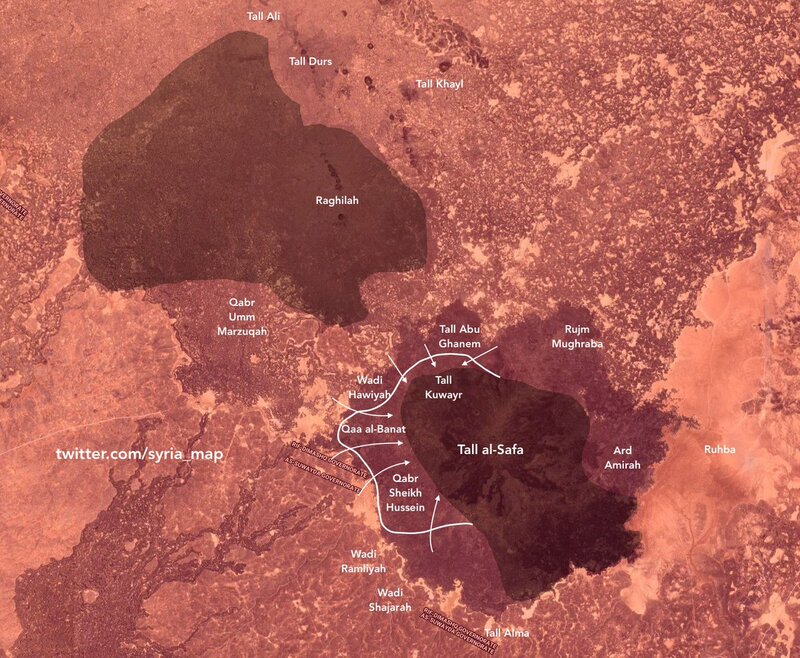 Syrian Arab Army and allies conducted an exchange deal with the Islamic State near Tell al-Safa in eastern Al-Suwayda. Syrian Arab Army reportedly handed over around 15 bodies of Islamic State’s elements in exchange for around 50 bodies of Syrian Arab Army and allies’ elements. Jaysh al-Tahrir al-Filastini (Palestine Liberation Army) announced that they were able to retrieve bodies of five elements who were killed in clashes with the Islamic State. Afghan National Security Forces killed three and wounded two elements of the Islamic Emirate of Afghanistan (Taliban) in Wata Pur district. Afghan National Security Forces wounded two elements of the Islamic Emirate of Afghanistan in Hisarak district. Afghan National Security Forces killed two elements of the Islamic Emirate of Afghanistan in Shah Javi district. Afghan National Security Forces killed six elements of the Islamic Emirate of Afghanistan, as well as destroyed a vehicle and two motorcycles in Marjah district. Islamic Emirate of Afghanistan’s snipers killed four elements of the Afghan National Security Forces in Nad Ali, Jerashk, and Nawa-I-Barakzayi districts. Afghan National Security Forces killed one and wounded one element of the Islamic Emirate of Afghanistan in Maywand district. Islamic Emirate of Afghanistan ambushed and killed two elements of the Afghan National Army in Bagh Khalil area of Khakrez district. Four Islamic Emirate of Afghanistan’s improvised explosive devices destroyed an Afghan National Army’s armored personnel carrier and a Kamaz truck, as well as killed and wounded 18 soldiers in Sara Sakhar, Zarh Ghondi, and Zangitan areas of Shah Wali Kot district.